Many church members say they are energized and inspired by Nelson’s prophecies, and reassured that God directs their church through a chaotic and confusing time. But others express discomfort with Nelson’s “because God told me so” use of authority and worry that it leaves little flexibility for younger Mormons struggling with deep questions about the religion. Lots of religions talk about revelations. They fill much of the New Testament’s last book and many parts of the older Hebrew Bible, from the burning bush that inspired Moses to the “still, small voice” who whispered to Elijah. But many modern believers consider both Bibles to be closed canons, the last words we’ll hear from God before the final trumpet blows. It’s not that these religions consider prophesy passe. They just think the era of prophecy has passed. Even Pope Francis speaks of “discerning” God’s will, but rarely of revelations. Matthew Bowman, a historian and author of the book, “The Mormon People,” said the view of the president as a “prophet” has risen since the 1970s, as the faith has grown and church leaders have become spiritual celebrities of sorts. “It’s an attempt to emphasize the authority of the president of the church,” Bowman said. But while few modern religions seem to blend pragmatism and prophecy quite so seamlessly, the Mormon church’s often mild-mannered and institutionally minded presidents rarely match the biblical image of prophets as wild-haired social critics who feed on locusts and honey. 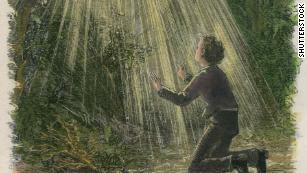 Mormonism began after Joseph Smith said he saw God and Jesus in a vision while praying in a grove of trees. The importance of prophecy dates back to the faith’s founder, Joseph Smith, who said God told him to restore the Christian church. According to some Mormons, Christian churches’ lack of openness to new revelations is partly to blame for their apostasies. But prophecy can be a messy business, as Joseph Smith found out when other Mormons claimed to have divine sanction for their vision of the church. Smith ended the competition by claiming that God told him only the faith’s top prophets could speak for the whole church, a restriction that stands to this day. Mormons now believe that revelations are parceled out according to one’s role in the church and in wider society. Huge decisions have been made based on Mormon presidents’ prophecies, according to church leaders, including ending the practice of polygamy and opening the priesthood to men of African descent. Raised in a non-religious home, Nelson read the Mormon scriptures at a young age and was convinced. So convinced that he went home and smashed his parents’ liquor supply. 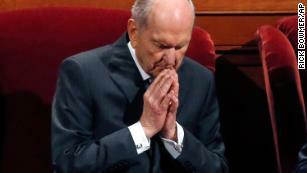 Since then, divine omens have played an important role in his life, Nelson says. A former heart surgeon who conducted Utah’s first open-heart operation, the Mormon president said he has prayed for the Holy Ghost’s help while wielding a scalpel over a patient’s body. Revelations have seeded Nelson’s love life as well. After his first wife died in 2005, Nelson proposed to the former Wendy Watson. “To strengthen my proposal to Wendy, I said to her, ‘I know about revelation and how to receive it,'” the Mormon president has said. Wendy Nelson said she, too, had received a revelation about their relationship. 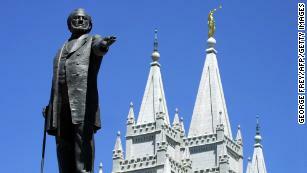 Brigham Young told Mormons their “first and foremost duty” was to open a channel of communication with God. During his time as a member of the Quorum of the Twelve Apostles, one of the church’s top echelons of leadership, Nelson said that he prayed for revelations daily. In 2016, before he became president, he defended the church’s then-new policy of calling LGBT couples “apostates” and effectively barring their children from baptism. When liberal Mormons criticized the policy, Nelson called it “the will of the Lord” as expressed to former president Thomas Monson. Since taking office in 2018, Nelson has instituted a number of changes, including: cutting an hour from Sunday church meetings, modifying home ministry programs, consolidating levels of church leadership, eliminating historical pageants, announcing a new edition of Mormon hymns, revising guidelines for bishops who counsel young adults, allowing missionaries to contact their families more often and ending the church’s 100-year association with the Boy Scouts. Not all of the changes were based on revelations, church leaders said. But, since they come from the top, they are all assumed to have the prophet’s stamp of approval, and therefore God’s as well. Nelson has been forceful in his rejection of the “Mormon” nickname, saying it offends God and represents “a major victory for Satan.” He made a similar argument in 1990, when he was a church leader, but was apparently rebuffed by superiors. Asked about the apparent contradiction — why would previous Mormon prophets reject what is now apparently God’s will? — church spokesman Eric Hawkins said the church has a saying: The most important prophet is the living one. Steve Evans, a 46-year-old attorney who helps run the Mormon website By Common Consent, said many fellow Latter-day Saints are energized by Nelson’s revelations. But Evans also said that Nelson’s revelations raise certain tensions in the church. When a president calls his decision “God’s will,” that essentially ends any argument. Other Mormons’ revelations are often, if not always, expected to align with his priorities. “You see more and more young people saying, ‘You can’t just tell me the answers. I have to figure them out for myself,'” said McGriggs. What’s more, it’s hard to be a prophet in the age of the iPhone, when any statement can be fact-checked in real time. 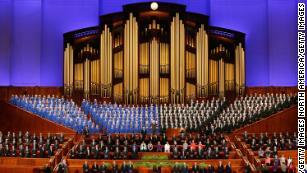 Dropping the “Mormon” moniker affected everything from websites to the famous Tabernacle Choir. According to new research, many young Mormons live in a “gray area,” in which they may follow some tenets of the faith, but also adopt non-traditional practices like drinking caffeine and watching R-rated movies, as well as experimenting with their sexuality. Thus far, Nelson’s strategy seems to entail liberal use of his “trump card,” as Evans put it: his authority as the church’s chief prophet, seer and revelator. In what you might call a prophetic speech, Nelson told Mormon millennials in 2016 that, in a society littered with “servants of Satan,” only God’s own prophets can be truly trusted. If there’s one thing we know, it’s that Nelson is listening and writing it all down on his yellow notebook.